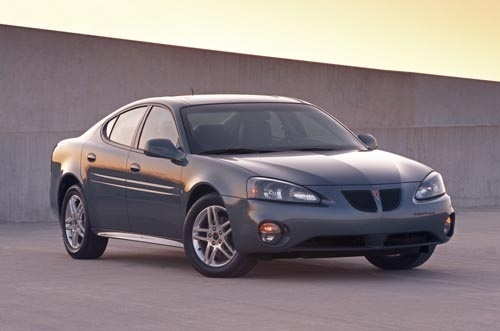 The Pontiac Grand Prix backpedals a bit for 2008, which will be its last year in production. A GT version with a 260-horsepower supercharged V6 engine, available the previous few years, has been dropped from the lineup, leaving only an underpowered (according to many drivers) Base model with a 200-horsepower V6 and a sportier GXP, with a 303-horsepower V8 and a sport-tuned suspension. Other than that, Pontiac made no changes to the Grand Prix for 2008, which essentially is a transition year, as the Grand Prix retires after a run that dates back to the early 1960s, to be replaced by the Pontiac G8, an Australian-built car with much more contemporary lines and newer technology. For 2008 both models will share a spot in the lineup, and in 2009 the G8 will formally replace the Grand Prix. As might be expected for its final year, the 2008 Grand Prix is a bit long in the tooth, with an exterior design that looks dated when compared to newer models from competitors (the Grand Prix's last design refresh occurred in 2004). 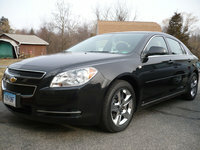 It offers familiar amenities (air conditioning, six-speaker stereo system, remote keyless entry, etc.) as well as some newer technologies, including Safety Cage Construction with front and rear crush zones and an available StabiliTrak Sport suspension that manages braking and acceleration in an emergency situation to prevent the loss of control of the vehicle. The Grand Prix also retains some of its less-than-superb features, including a small backseat, some plastic interior parts that detract from its overall build quality, a lack of adequate interior storage space, and a V6 engine that some consider noisy. However, the Grand Prix remains a nostalgic choice for those seeking a reliable family car, and those buyers may be willing to overlook a somewhat dated design for a last chance to own this iconic automobile. 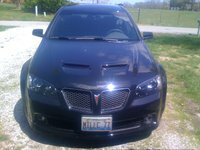 What's your take on the 2008 Pontiac Grand Prix? grandprixlover My 2008 Grand Prix has 45,000 miles on it. I bought it new, have treated it well, and it has not let me down. I'm so glad I got one before they went out of production. 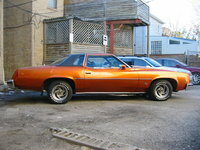 I loved my Monte Carlo, but this car performs better. It has a bigger engine, great pick up and handles exceptionally well. It also looks good - very sporty. Thanks, GM.